Fall Beers of Raleigh, N.C. The Carolina foliage is on its way and seasonal brews are in full swing. If you are planning a visit between Sept. and Dec., check out the plethora of unique beverages on tap throughout the bustling local beer scene. Pumpkin beer is a pantry staple for many brew-ficionados during the fall months. Stock up on Pumpkin Wheat (5.5% ABV) from Lynnwood Brewing Concern, Pumpkin Spiced Edinbrüe (8.2% ABV) from Brüeprint Brewing Company, Pumptrack (6.1% ABV) from Crank Arm Brewing, Pumpkinbeast (6.4% ABV) from Aviator Brewing Company and the ever-popular Harvest Time (5.5% ABV) from Big Boss Brewing Company. Sip on an Oktoberfest-style lager such as Oktoberbeast (7.2% ABV) from Aviator Brewing Company, Märzen Oktoberfest (6.4% ABV) from Draft Line Brewing Co. and Munich Masquerade (5.5%) from Compass Rose Brewery. Raleigh Brewing Company is offering their Holiday Bash, Spiced Winter Warmer (7.4% ABV). Boylan Bridge Brewpub will also be releasing their winter warmer, Push Me Pull You, a high-gravity amber brewed with maple syrup and honey. Additional fall favorites include Pecan Nut Brown Ale (4.7% ABV) from Nickelpoint Brewing Co., Misfit Wit (5.5% ABV) from Neuse River Brewing Company, Vienna Lager (7.4% ABV) from Draft Line Brewing Co., an Alternating Current Altbier (5.3%) from Gizmo Brew Works, Deadeye Jack Seasonal Porter (6.0% ABV) from Lonerider Brewing Company, Black Saison (6.4% ABV) from White Street Brewing Company and Dirty Secret Coconut Stout (4.8% ABV) from Bombshell Beer Company. Have a favorite fall seasonal that didn’t make our list or want to tell us more about your favorite brew style? 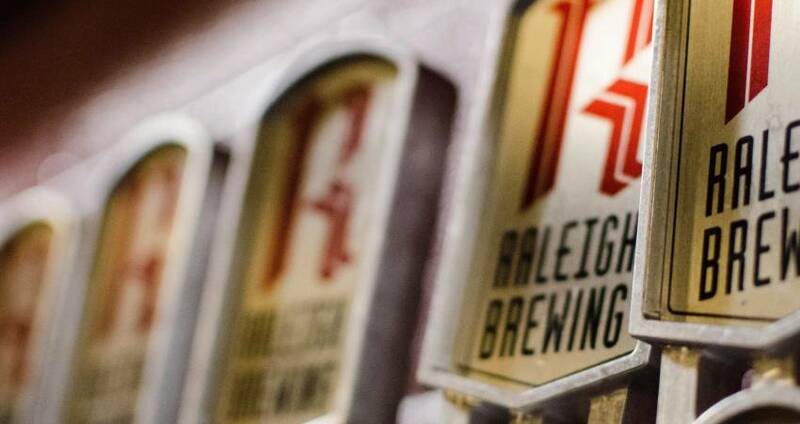 Leave a comment below or learn more about Raleigh area breweries here.